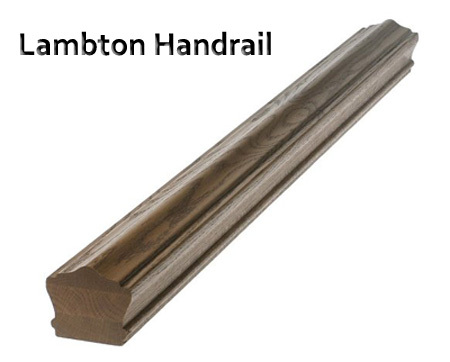 * Note 1: Richmond Profile handrail is now being replaced by the Lambton Profile ( see image below ). * Note 2: This handrail is now as a special order only item. * Note 3: Minimum order amount is 50 ft. and must be in a package purchase. * Page Link: >>> Click here to go to our Modern Profile Handrail web page.